BRIEF: Create a graphics page with 4 or more objects on a single narrative. Group project. 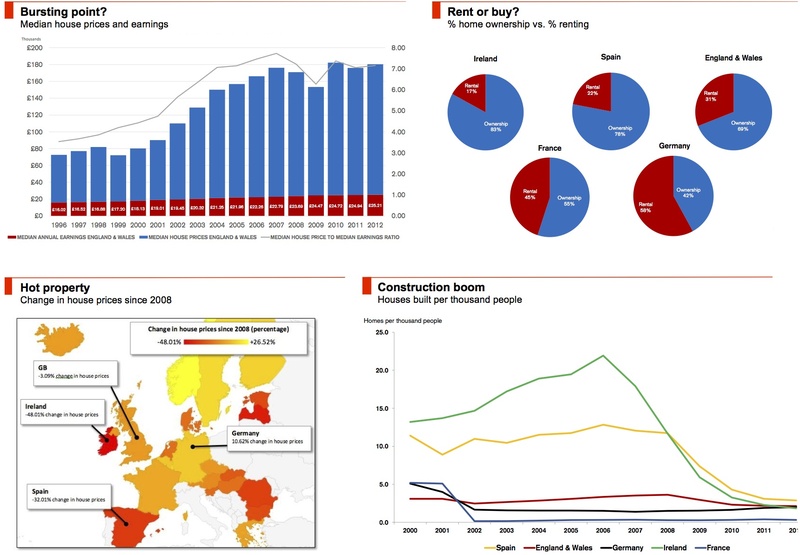 We tried to examine issues relating to the UK housing supply. The graphs clearly show a link between construction figures and falls in house prices which are typical of a construction/housing bubble. We also wanted to include a more human element by looking at house price affordability across Europe- presumably the UK would fare poorly on this metric- but reliable house price figures were not available.